CTI HAS BEEN BLESSED TO OFFER BASKETBALL COACHES YOUNG AND OLD THE OPPORTUNITY TO COACH OVERSEAS IN A VARIETY OF PLACES. BASKETBALL IS BY FAR THE MOST POPULAR SPORT IN CHINA. THE BASKETBALL MARKET IN CHINA CONTINUES TO EXPAND AND OUR CHINESE PARTNERS ARE EXCITED TO WORK WITH OUR COACHES. WE ENJOY RECRUITING COACHES AND PLACING THEM IN GREAT OPPORTUNITIES TO TEACH THE GAME OF BASKETBALL TO THE NEXT GENERATION, GAIN COACHING EXPERIENCE, LEARN CULTURE, WHILE ALSO EARNING A GOOD INCOME. *COACHES ARE OFTEN EXPECTED TO BE PLAYERS AS WELL. THIS IS BECAUSE YOUNG COACHES WILL COMPETE IN TOURNAMENTS AND GAMES FOR THEIR COMPANY. CTI IS EXCITED TO EXPAND BEYOND THE COURT AND OFFER MORE AND MORE OPPORTUNITIES TO COACH AND DEVELOP THE WORLD'S MOST POPULAR SPORT; SOCCER. CHINA IS INVESTING HUGE AMOUNTS OF MONEY INTO DEVELOPING SOCCER IN THEIR NATION. 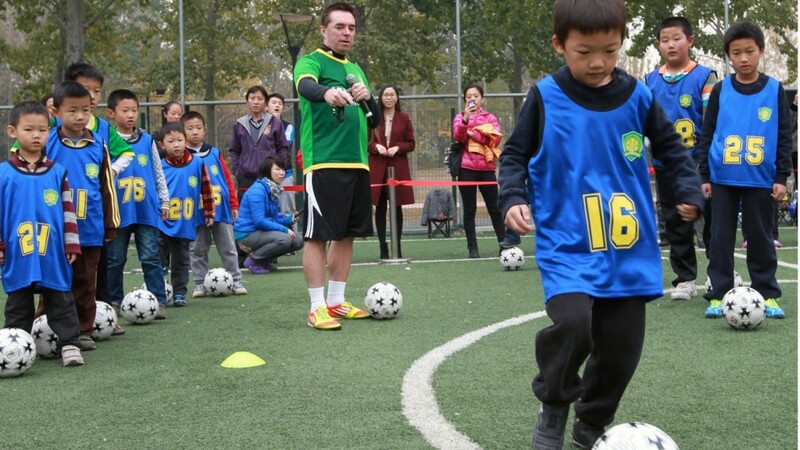 CTI IS BEING ASKED TO PROVIDE COACHES TO MEET THE GROWING NEED AND POPULARITY OF SOCCER IN CHINA. THESE ARE FULL TIME COACHING JOBS WITH COMPETITIVE WAGES. CTI IS A NON PROFIT ORGANIZATION THAT DEPENDS HEAVILY ON THE PASSION OF PLAYERS AND COACHES THAT HAVE A DESIRE TO CHANGE THE WORLD THROUGH THEIR LOVE FOR PEOPLE, SPORTS AND FAITH. EVERY YEAR (MOSTLY IN THE SUMMER) CTI OFFERS TOURS, CAMPS AND OTHER SPORT RELATED OPPORTUNITIES IN ASIA TO COACHES AND PLAYERS.